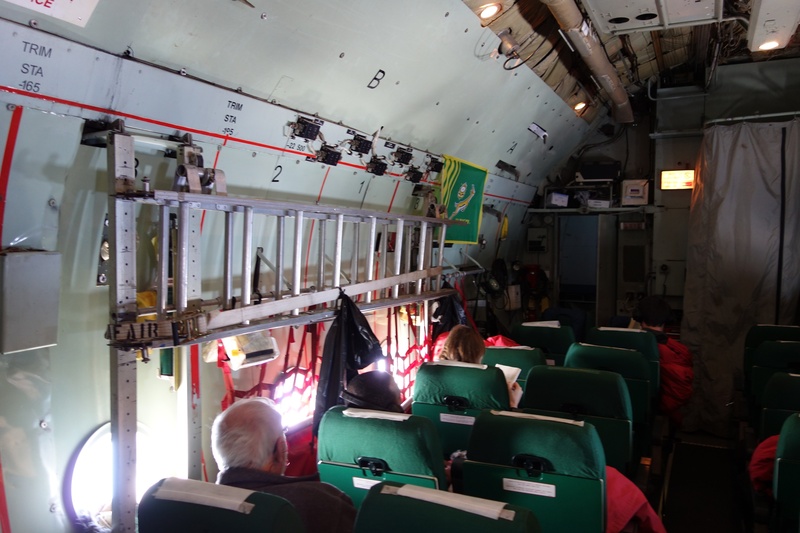 We board the plane in our multi-layered Antarctic kit which was fitted yesterday. Before being seated, a brown paper bag was thrust in my hands by a smiling burley South African that contained all sorts of goodies for the flight. After getting use to the shaking and shuddering of the old Hercules, the eight hour flight was quite pleasant. I still couldn’t get those damn ear plugs to stay in. I noticed that I was the only one suffering from this rather annoying practice of trying to relocate the plug so they didn’t fall out again. It must have looked as though I was constantly trying to shove a finger in my ear to give them a good clean! The plane was only half full with four Kiwis and the rest American. Fortunately, we had windows which enabled me to take a look at the sea ice developing as we approached the Sub Antarctic. Then a short time later, there she was in all her glory, Antarctica. Absolutely stunning. 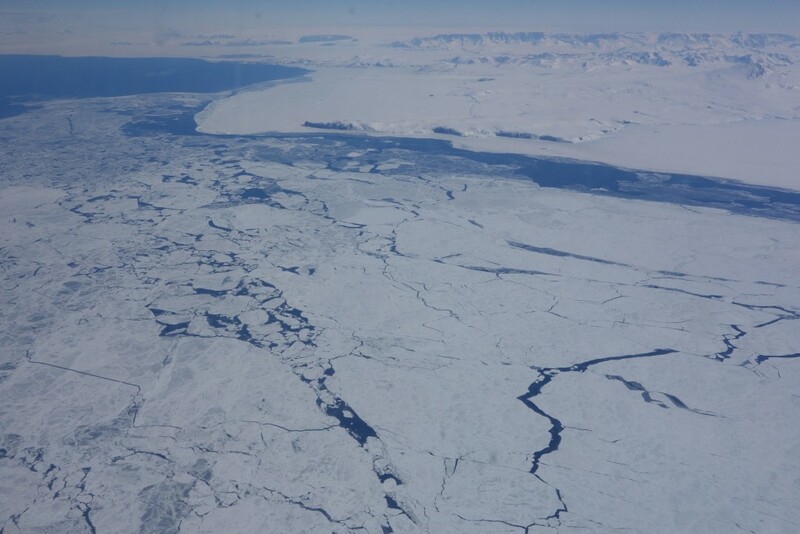 We flew down the line of the Trans Antarctic Mountain Range on the approaches to Ross Island and Scott Base. After landing the first thing I notice is the rush of cold air. A quick obligatory photo of the old Hercules and off we trundle to Scott Base where we are warmly greeted by Scott Base administration. After refreshments it was a a very comprehensive tour of Scott Base and induction. My first thoughts are “this is one hell of a professional outfit.” The plan tomorrow – Antarctic Field Training. I’m here, Pegasus runway Ross Island. Great talking with Lynn Freeman from Radio New Zealand. The interview includes discussion about the ensuing paintings of the historic huts. Nelson artist Sean Garwood is a veteran of the Southern Ocean, and after a lifetime sailing its wild waters, he’s finally getting the chance to visit its crown. This month, Garwood will visit the ice as part of Antarctica New Zealand’s artist programme, sketching and photographing two historic huts in preparation for a series of paintings. Left behind more than 100 years ago by Robert Falcon Scott and Ernest Shackleton during the Heroic Age of Antarctic exploration, the wooden huts and their contents – including medical, scientific and photographic equipment, food, clothing, and even toothbrushes – were used as bases for expeditions to the South Pole and for conducting scientific experiments. A copy of Herbert Ponting’s glass plate original showing polar explorers Apsley Cherry-Garrard, Henry Robertson, “Birdie” Bowers, Lawrence Oates, Cecil Meares and Edward L. Atkinson in the ‘Tenements’, sleeping quarters in Scott’s Hut, Cape Evans, 1911-1914. Many of the mens’ belongings remain in the huts. 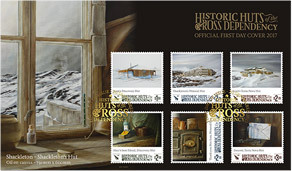 They have been preserved since then as time capsules of the age – first by the cold, dry climate, and later by professional conservators from the Antarctic Heritage Trust, who since 2006 have been working to stabilise the eerie, immersive, museum-like qualities of the three Ross Island huts and ensure they are there for the future. The heroic-era buildings and their 18,202 individual artefacts were in danger of loss after a century of extreme environmental conditions. Heritage carpenters have repaired and weatherproofed Scott’s huts at Cape Evans and Hut Point and Shackleton’s hut at Cape Royds, improving environmental conditions. Garwood has no particular number of oil paintings he wants to complete, but will build a highly detailed narrative series, beginning with the extremes of the Southern Ocean, then the wooden huts and the expedition equipment and personal belongings of the explorers who made the continent a temporary, fragile home. He said it was very important to him to capture something of the men that lived there, and bring the feeling of the place to the eventual viewers of his work. Though he’s apprehensive about whether his camera equipment will work well in the early summer temperatures – the mean is -11.3 degrees at that time of year – he’s excited about meeting fellow artists on similar programmes and said Antarctica New Zealand and the Antarctic Heritage Trust would provide excellent backup and advice. Jeanine Begg, Antarctica New Zealand communications general manager and manager of the community engagement programme, said there were more than 45 high-quality proposals, and Garwood’s was one of just six selected. 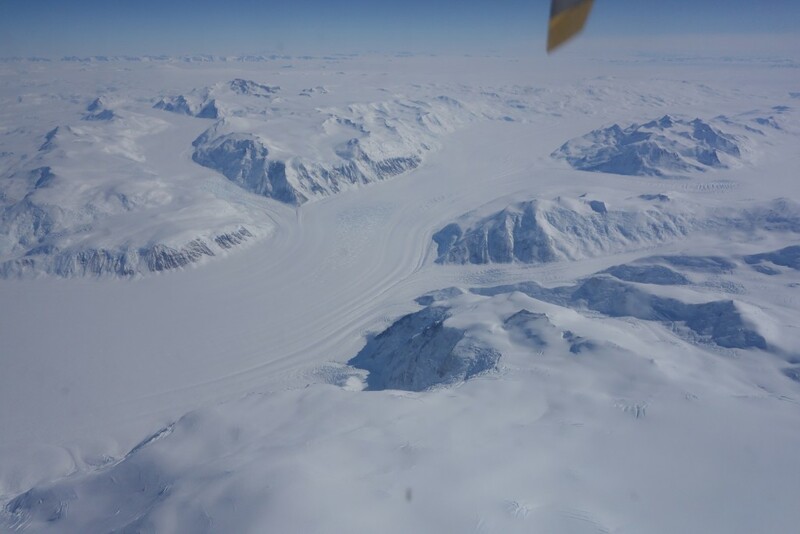 “Sean not only has the technical skills needed to translate the science of our earliest explorers at Shackleton’s Nimrod hut at Cape Royds and Scott’s Terra Nova hut at Cape Evans into stunning works of art, he has also planned a strong series of outreach events upon the completion of his works,” she said. “These historic huts stand protected on Ross Island as monuments to the early exploration of the Earth’s last frontier. Since 1960, New Zealand Heritage conservators have worked hard to excavate ice from the interior of the huts, maintain the structures and restore the artefacts inside and adjacent to the huts. The opportunity for Sean to work with the team at the Antarctic Heritage Trust, and visit these huts in person is a true privilege. 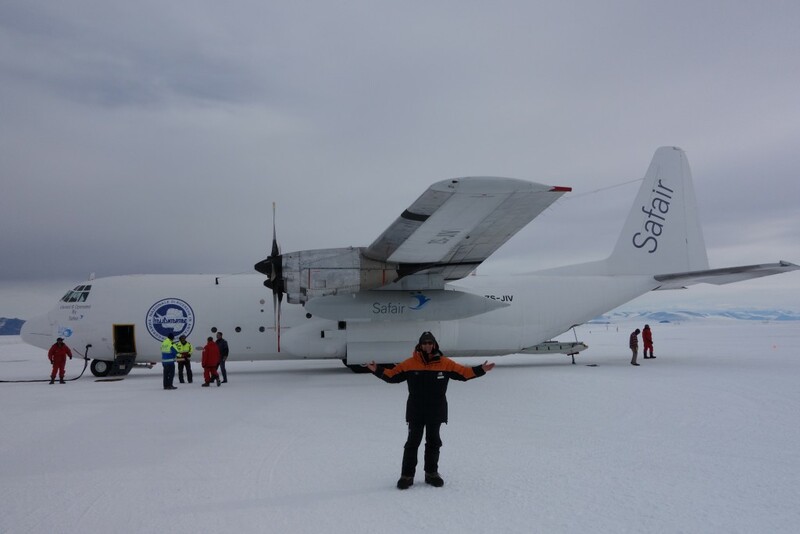 “Sean has been an absolute delight to work with in preparation for this opportunity – his commitment to communicating the significance of Antarctic science through his art is a testament to his love of the heritage and scientific endeavour on the frozen continent. 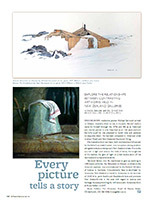 In one way, Garwood is following in his father’s footsteps – accomplished Australian painter Michael Garwood was once commissioned by the Canberra Federal Museum of Science to produce a painting showing the hut of famous Australian Antarctic explorer Douglas Mawson. On his return to Nelson in December, he will begin working full time on a collection of highly detailed oil paintings, focusing predominantly on the inside of the huts. Garwood describes his work as having an almost obsessive attention to detail, and his oeuvre includes paintings of country sport and antique or colonial subjects – hunting, fly fishing, and life by the sea – which are rich in the textures of canvas, old wood, leather, and metal. From the age of 10, he knew he wanted to go to sea and paint like his father, the Australian artist Michael Garwood, and by the time he was 21 he was New Zealand’s youngest ever Deep Sea Master, eventually becoming captain of trawlers in the Southern Ocean. He used to take his art supplies with him and drew at every opportunity. Nine years ago he became a full-time artist, spending five years in a kind of apprenticeship to himself as he worked with his chosen medium, classic realism and the oil painting techniques of the old masters. Garwood is familiar with extremes of the Southern Ocean, spending years as a ship’s captain. He describes it as “one of the most remarkable places on earth”. He has also sailed from Lyttelton on many occasions in his maritime career, following the same ocean passages that Scott and Shackleton sailed to reach Ross Island in Antarctica to begin their expeditions. Garwood paints full-time from his Nelson studio, and says that due to his meticulous attention to detail in the classic realism genre, he expects to take months to finish the Antarctic paintings. Exhibitions throughout New Zealand will follow.